Uses less solvent for clean up. 3M™ Accuspray™ Atomizing Head is designed to help reduce primer consumption, minimize overspray and also lower primer spraying time. 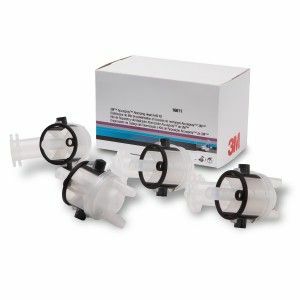 This refill kit contains four atomizing heads for use with the 3M™ Accuspray™ Spray Gun Model HG18. This refill kit contains four atomizing heads for use with the 3M™ Accuspray™ Spray Gun Model HG18. The heads are designed to help reduce primer consumption, minimize over spray and also lower primer spraying time. They are easy to clean and can help reduce clean up and gun cleaning time. You may also find that you are not required to use as much solvent during clean up, saving you both time and money. Using this product can help boost productivity and reduce costs and waste.